This project consisted of three different structures. 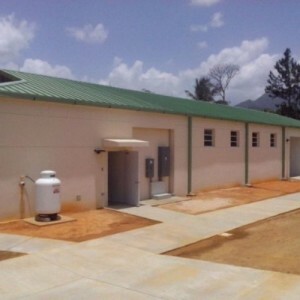 Building one has a classroom used for training the k9’s and their handlers. 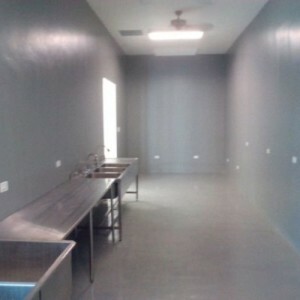 It also contains three rooms that are used for drug and American dollar searches. 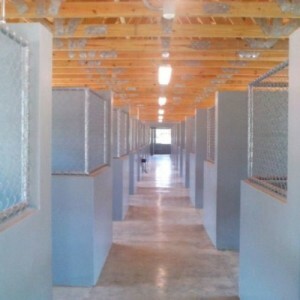 Building two is a kennel that has 24 enclosures to keep the k9’s. Building three is the barracks’ for the soldiers of the National Drugs Control Agency. The barracks have sleeping quarters, a men’s bathroom, full kitchen and dining area. We also installed a drain field with two deposits. One deposit receives water from the barracks and the other from the kennel. In order to prep the area, site work and grading was necessary. All exterior walls were made of block. The roof has wood trusses with standing seams. All lighting and electrical was installed underground. West worked hired and trained local labor in order to meet the NAVAC Standards.